Built in the 12th century by Cistercian monks, the Abbey at Loc Dieu has seen its fortunes ebb and flow over the years. Looking at it now, it's hard to believe that the church and the beautiful manor house adjoining it were actually built at the same time. 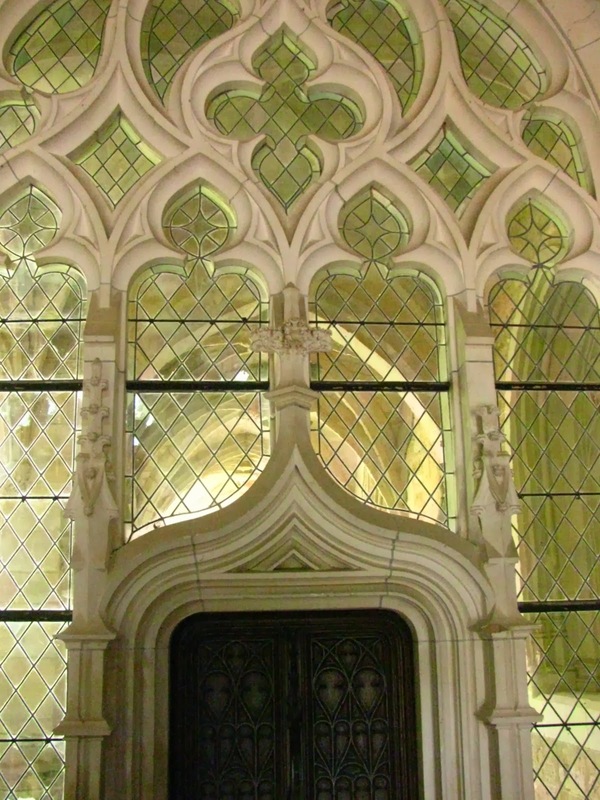 While the church itself has never been damaged over the years, the original monks' quarters, cloister and workrooms have been heavily damaged and almost destroyed several times during the Hundred Years' War, the Wars of Religion and the French Revolution. Each rebuilding was done in the style of the period. When the state assumed control of the Abbey during the French Revolution, the monks were disbanded and the property sold. 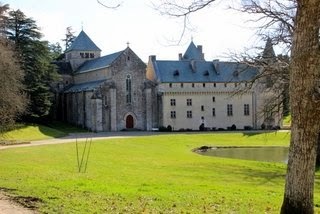 The Abbey and its grounds then became the estate of the Cibiel family which turned the buildings into the lovely manor house it is today. The house and church are open during the summer for guided tours only. On the tour you hear the story about the Mona Lisa hiding here as well as other fascinating tales of the Abbey's history. I took this photo inside the foyer of the house where the tour begins. I love the intricate glass work. You can see the vaulted corridor of the cloister beyond the glass. 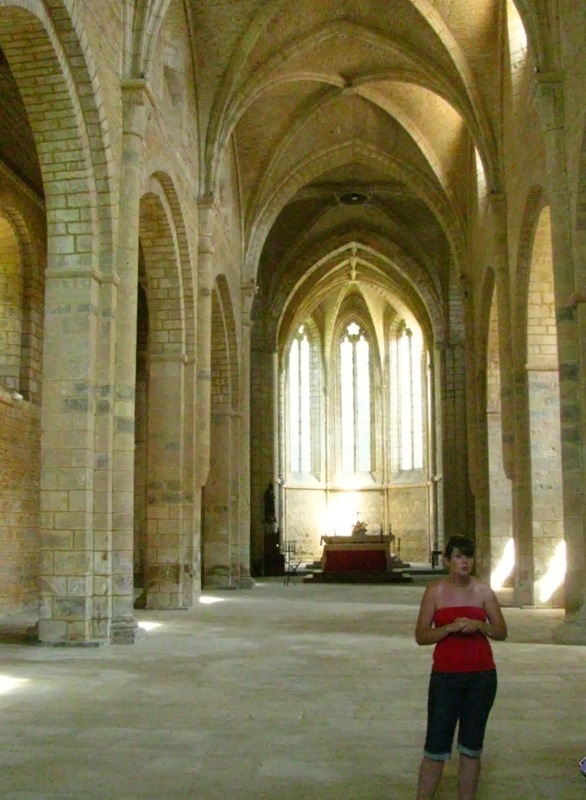 The interior of the church is typically Cistercian...very simple and elegant. This is where Mona Lisa smiled during WWII. She and hundreds of other works of priceless art were cached here in the church. You might think our tour guide looks a bit out of place in the church wearing her tank top and rolled jeans! In her defense, it was a blistering hot August day. The interior of the stone church felt blissfully cool. 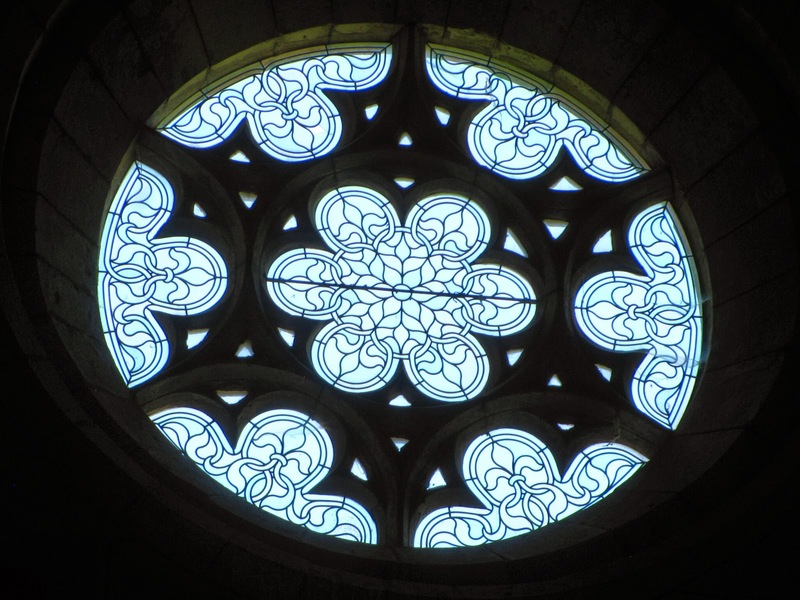 Cistercian churches do not have the colorful stained glass windows found in the later Gothic churches like Notre Dame. The Cistercian order followed the strict rule of St. Bernard who believed that churches should not have any superfluous ornamentation that might distract the monks from their religious life. 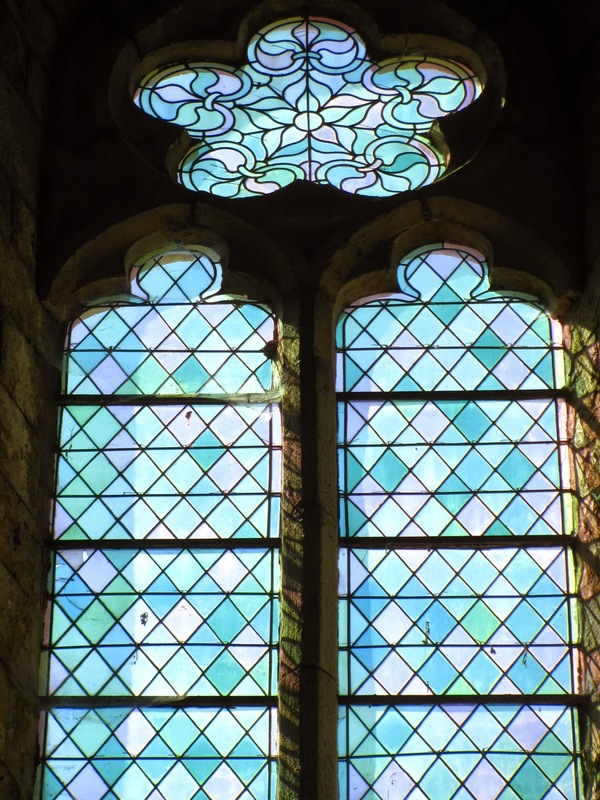 The earliest monasteries like this one might only have a crucifix and single-color windows like these. I find them very beautiful and restful. 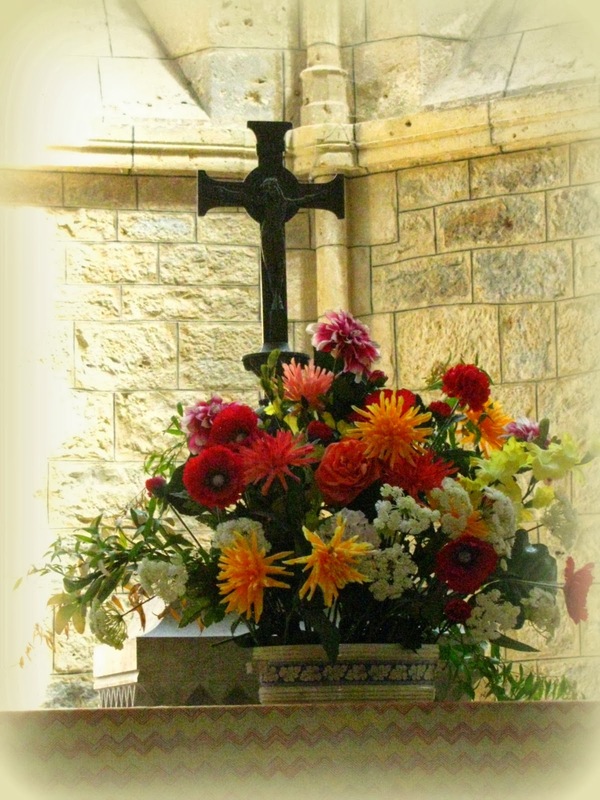 The altar flowers are a modern touch. In my next post, we'll stroll through the Park that surrounds the Abbey.